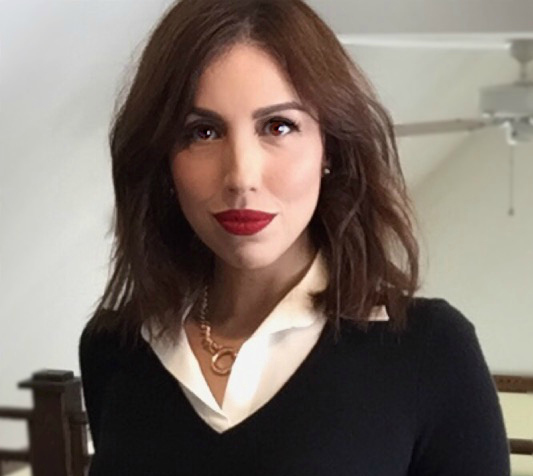 Caroline Avakian is an Emmy-nominated TV correspondent, communications and policy strategist, and social entrepreneur. Caroline is a recognized practitioner and speaker in the use of technology and new media for human rights and global development. Her work has taken her from the halls of the United Nations, where she trains member states and NGOs on the use of technology and digital media for human rights, to the front lines of this work in East African refugee camps, India, Central America, and the Middle East. Caroline has led projects with UN agencies and NGOs to tackle issues like violence against women, global health crises, extreme poverty, refugees and forced migration, and post-genocide peace and reconciliation projects. She is the Managing Partner of Socialbrite, a leading social media for social change consultancy and digital learning hub. Caroline is also the Founder of SourceRise, an award-winning digital platform that connect journalists to on-the-ground expert sources during humanitarian crises. Follow Caroline on Twitter @CarolineAvakian and visit her website www.carolineavakian.com. I think that to a certain extent I have to look inside and say I’m usually my own biggest obstacle. I really believe that the universe rewards smart risk-takers. The toughest obstacles for me have always been knowing when to take that next ‘leap-of-faith”, when to take it to the next level, when to slow down, or when to pivot completely. It’s hard to come face-to-face with yourself and acknowledge when it’s time to see something through its natural end, or to transform it into something else. It can be very scary and that next step is not always easy, but ultimately I have usually been rewarded (in one way or another) for doing just that. You cannot stay completely focused and motivated 100% of the time. This does not make you lazy, nor does it make you undisciplined. It makes you 100% human. What I’ve learned throughout the years, is to really understand how focus and motivation ebb and flow for you. I am most focused in the mornings and early afternoons, so I try to get the bulk of my project work and phone calls during this time. In a broader sense, the same has applied to periods of time in my life. In those moments when I’ve felt unmotivated or unfocused, I’ve learned to ask myself why I feel this way. There’s usually a bigger issue underlying that feeling and if I give myself the space to be in that space, I usually can get to the other side. To trust my gut because it is always right. I learned the hard way that this is true. I haven’t mistrusted my gut since. TAKE YOUR TIME. If it’s worth doing, it’s worth doing well and thoroughly. Do not fall for the one size fits all mold of conventional startup wisdom that teaches us to idolize speed and quick growth above all else. I am in the midst of pivoting my social enterprise, SourceRise, to encompass more training modules for NGOs and diplomats, into our new umbrella organization, DIPLOMATA. I would not have known to pivot, and to make the necessary changes that truly serve the people we want to serve, had I not taken the time to ask question of my beneficiaries and customers, to ask for suggestions, and to admit when I was wrong about something. Had I not given myself the time to do this, I would have invested a ton more of my own savings and other investor money into a platform that needed a lot of other things in order to thrive. Women leaders exist. They are all around us. I would venture to ask, how do we allow more women leaders to thrive? How can we do a better job at supporting and elevating them? How do we create an environment that isn’t just built for the success of one gender but that truly wants and seeks the contributions of women? I also serve on the board of advisors of two organizations that seek to elevate women’s voices and women leaders - Latinas Think Big and Women for Progress. Mentorship is a great way to develop women leaders. Mentorship has been and continues to be really important to me because it’s one of the very tangible ways that I feel I can help elevate other women. The mentors and mentor-figures in my life have been there for me when I’ve had critical decisions to make, when I needed guidance and support, and they have been there to open doors for me that would otherwise would likely have gone unopened. Mentoring doesn’t have to be as formal as people think it needs to be. It usually isn’t. An email every once in awhile. A discussion over a 30-minute coffee date. A phone call. It’s important to know that we have a lifeline. To help raise women’s voices has been one of my great joys and privileges. So get out there and mentor and be mentored. It will enrich your life in ways that will surprise you!